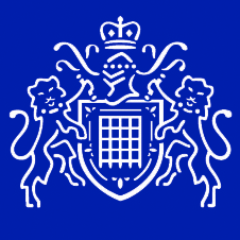 Here are the top ten tips for securing your home as provided by the Met Police. Don’t leave your keys or ID documents within easy reach of doors, letterboxes or windows. Close and lock all doors and windows. If you have multi-locking door handles, lift the handle, lock it with the key and remove it. Remember – LIFT – LOCK – REMOVE. Put the key in a safe place out of sight in case of fire. Lock garages and sheds so garden tools and ladders can’t be used to break into your home. Keep side gates locked and wheelie bins stored behind them. Use timer switches linked to lights and a radio so it appears that someone is at home. Invest in a safe for valuables and sentimental items and securely fix it to a solid surface. Install a visible intruder alarm system – burglars don’t want to be seen or heard. Install low level ‘dusk till dawn’ lighting to increase visibility and deter burglars. Keep side and rear boundaries high to restrict access and front boundaries low to remove hiding places. Photograph and mark valuables and sentimental items with your postcode and house number/name. Total Policing is the Met’s commitment to being on the streets and in your communities to catch offenders, prevent crime and support victims. We are here for London, working with you to make our capital safer.